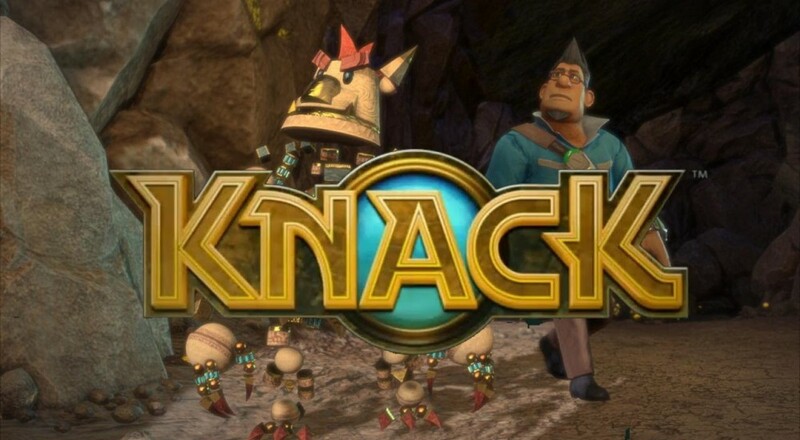 It's been a slow leak of details for Japan Studios' PS4 action adventure launch title Knack. A few screens here, a couple of co-op details there, and finally a video that shows off some gameplay! Well, a few seconds of gameplay, anyway. The two minute trailer shows a few quick snatches of the game in action interspersed with dramatic music and characters yelling at each other in Japanese. Knack struts his size-changing parts-becoming-a-whole self in battle, and it looks like some extremely large bad guys are waiting in the wings. The graphics and physics in Knack look gorgeous, something the shaky cam videos from Gamescom 2013 haven't been able to showcase that well. Co-op in Knack is limited to two players locally, allowing one player to control Knack while the other controls a special silver version of Knack. Silver Knack supports Gold Knack by picking up parts from the battlefield and donating them to keep Knack's health topped up. It was designed for families in mind, with parents helping their kids play through the campaign. Or the other way around! Knack is set to launch along with PlayStation 4 on November 15th.